The investigation of nonlinear phenomena in acoustics has a rich history stretching back to the mechanical physical sciences in the nineteenth century. The study of nonlinear phenomena, such as explosions and jet engines, prompted the sharp growth of interest in nonlinear acoustic phenomena. The authors consider models of different 'acoustic' media as well as equations and behaviour of finite-amplitude waves. Consideration is given to the effects of nonlinearity, dissipation, dispersion, and for two- and three-dimensional problems, reflection and diffraction upon the evolution and interaction of acoustic beams. 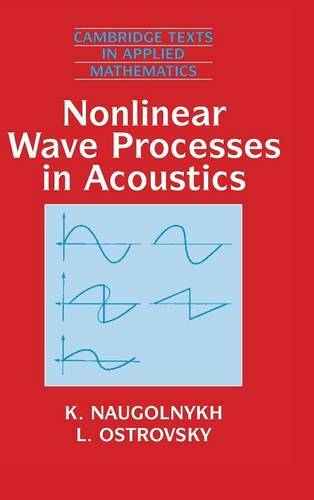 This book will be of interest not only to specialists in acoustics, but also to a wide audience of mathematicians, physicists, and engineers working on nonlinear waves in various physical systems.